Want to shoot some hoops or play some volleyball? 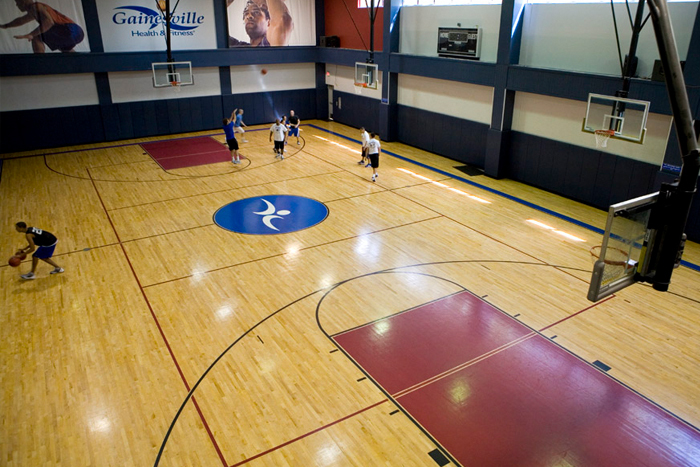 Gainesville Health & Fitness’s indoor courts are dynamic and functional for all levels of performance. Regulation-size indoor basketball court features six basketball hoops and hardwood flooring for the perfect game. Regulation-size volleyball court dimensions. All that is required is a quick set-up of the volleyball net and game on! All memberships included use of the court at no extra charge.